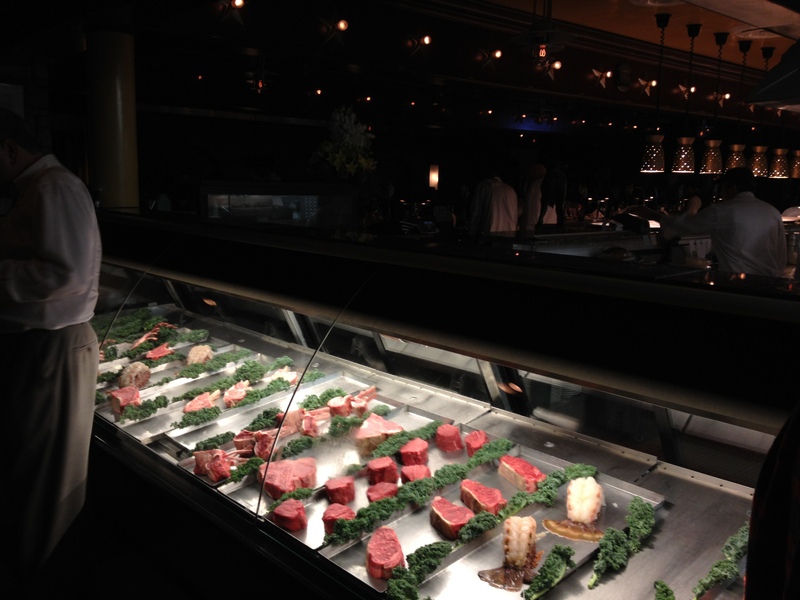 I wanted to get steak at least once for my short stay in Houston, and my friend suggested Pappas Bros. Steakhouse. It IS a chain restaurant (with another branch in Dallas), but my friend said that they had excellent steaks, so we tried it anyway. 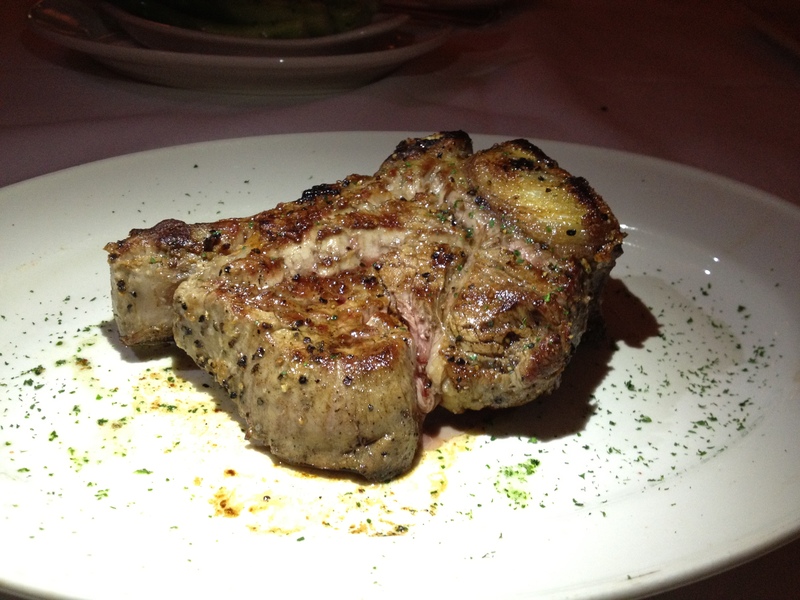 The steaks were really well-cooked, and the meat was tender and flavorful. The appetizers and dessert were what stood out to me, though. They were much more creative than I expected and every bit as delicious as I was hoping they would be! The service was exceptional. 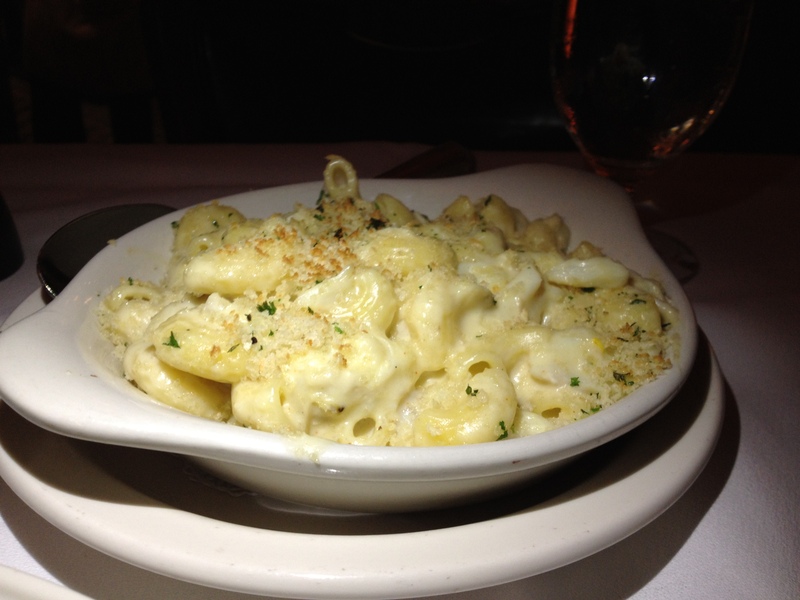 The staff was nice and very friendly, and our waiter knew a lot about each dish. He also helped provide lighting without any hesitation when I was trying to take a picture hahaha; I guess part of me is used to people judging me for taking pics of food… Overall, though, the service was pretty amazing (and I’d like to think that that means something coming from me haha). All in all, the meal was a success—this was a great start to steaks in Texas for me. 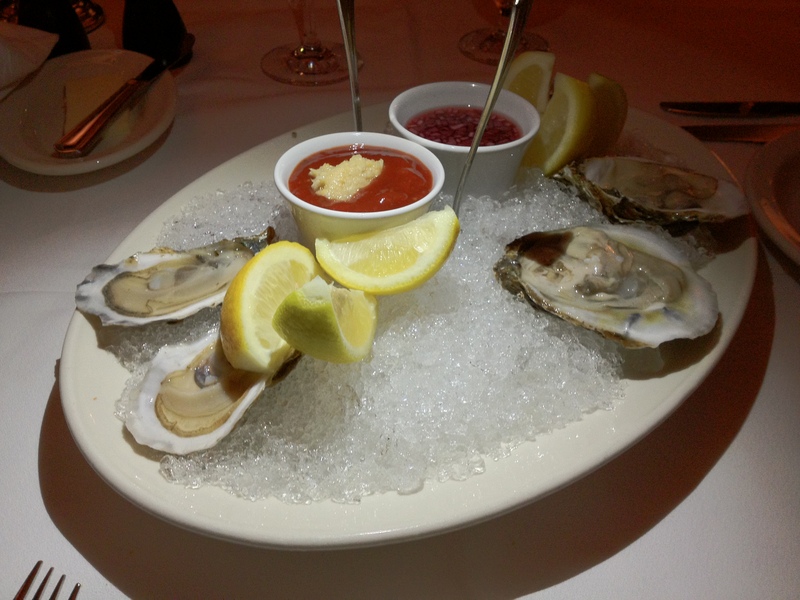 The oysters were a good start to the meal. They were good, but they weren’t fantastic or anything, especially after having eaten a lot of oysters in New Orleans a few days earlier! 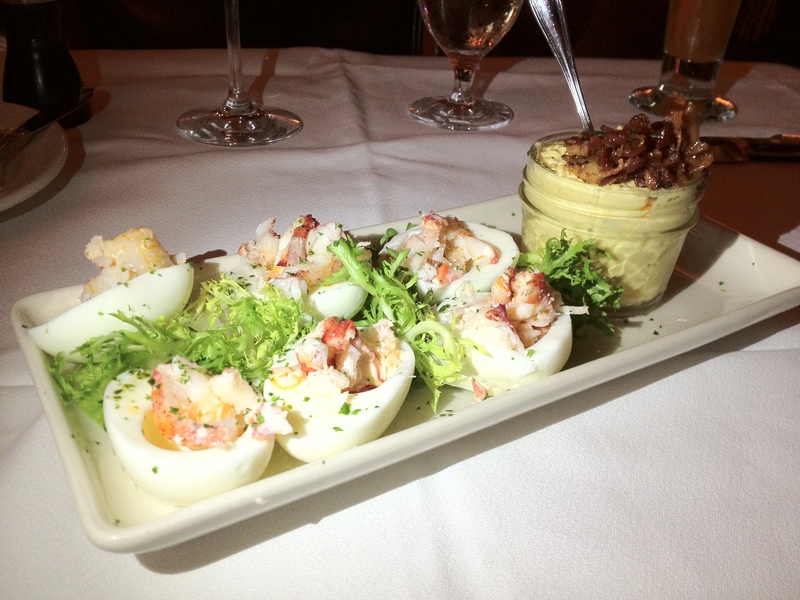 The six egg whites have lobster and chili oil, while the jar has egg yolk, cayenne pepper, Dijon mustard, and bacon. This was FANTASTIC. You could add however much of the yolk mixture you wanted to, and this was a truly decadent dish. Lobster, bacon, and egg yolk—all with a hint of chili oil? Mmmmmm. That yolk mixture was something special. I’d come back again just to eat this (and the bacon-wrapped scallops)! 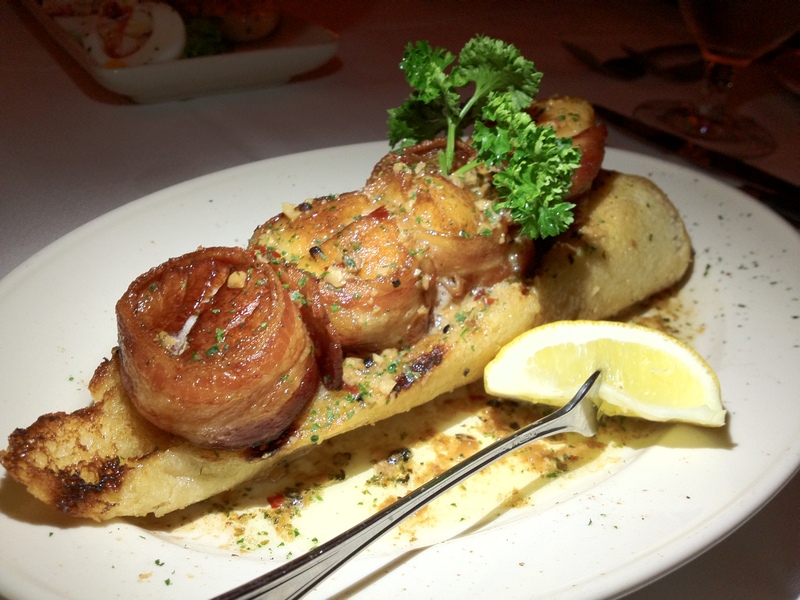 The scallops were really well-cooked, and the bacon added more decadence (and fattiness)! The garlic bread was RIDICULOUS. It had a LOT of butter, and the oils from the bacon and scallops basically soaked into the bread. My friend Jon basically mentioned that they were cheating with the bread—anything with oils from bacon and scallops as well as that much butter is going to taste freaking amazing. I’m not going to lie—I chose the filet mignon because I wanted to get a leaner cut of meat. I’ve been eating really horribly lately, so I wanted to at least get meat that was slightly less fatty. When I got it, it was perfectly cooked, and it was juicy, flavorful, and pick-it-up-with-your-bare-hands-and-gnaw-at-the-bone-with-your-teeth worthy. Jon’s steak was actually slightly undercooked and was a little on the rarer side. He still ate it, though, and thankfully he really enjoyed it. It was tender, juicy, and flavorful. I don’t really have much to say about the (gigantic) asparagus spears. I thought they were really delicious (but I really, really enjoy asparagus haha). 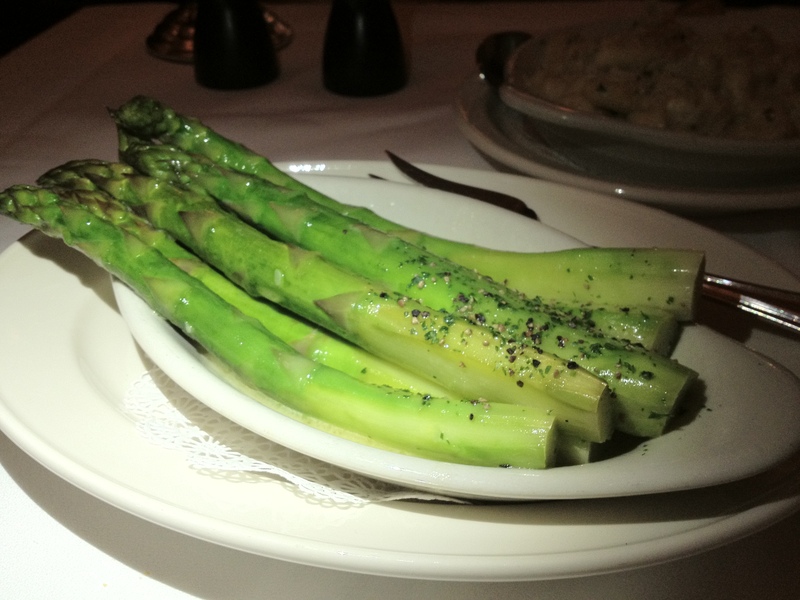 This dish wasn’t mind-blowing or anything; it was just well-cooked, fresh asparagus with seasoning. This was pretty great, though part of me wishes I could have chosen something a little decadent. Still, it was worth the calories I got to try this. The cheese was DELICIOUS, and the crab really added some unnecessary but definitely appreciated decadence to the dish—it was already super rich! This wasn’t exactly a creative dish, but it was executed really well—and it was really, really addictive! I could not stop myself from eating this, even though I kept on telling myself that I really ought to stop :(. This dessert was the most creative dessert on the menu, and it basically tasted like a really rich and decadent s’more—it was definitely a most appropriate end to a meal filled with rich and decadent dishes hahaha. The toasted marshmallow was heavy in a way that definitely complemented the creamy yet surprisingly light milk chocolate mousse. The milk chocolate mousse had pieces of graham crackers, toffee, and marshmallows, so you can probably imagine how amazing (and decadent) this dessert was. 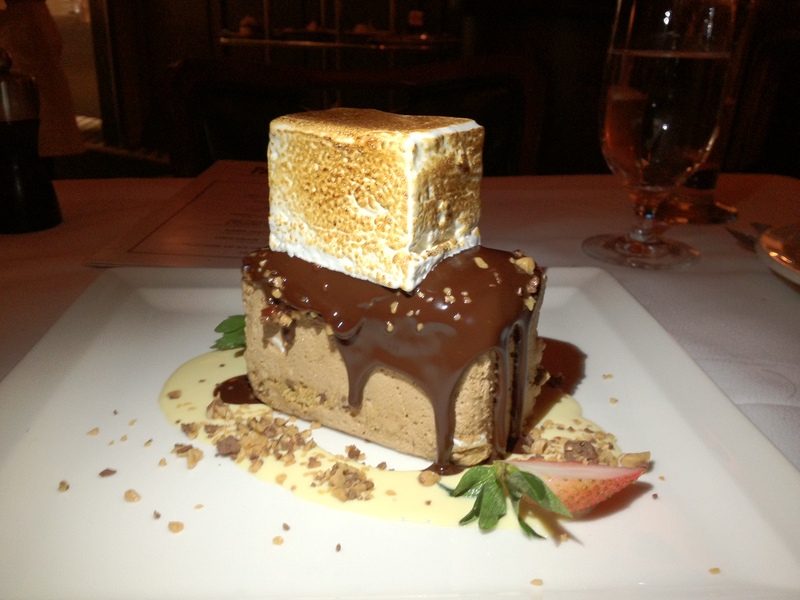 Imagine eating milk chocolate mousse that contained graham crackers, toffee, and marshmallows interspersed. Now add dark chocolate ganache as well as creamy vanilla-malt sauce to that. Wonderful, right? Now let’s add a fluffy and delicious toasted marshmallow on top of ALL of that! The combination of all that? I was just wondering , how much did the meal come out to? The meal came out to be $285 total ($237.34 + $47.66 tip). I know it sounds like a lot, but we ordered a ridiculous amount for two people, and the cuts we ordered were also among the most expensive (if I recall correctly). It was a serious splurge. I think that, for most people, it comes out to around $100 a person. Hope that helps!